Now we know that the Russian anti-doping system in sport was largely a sham: a Potemkin village of a program designed to give the appearance of an effective fight but in reality enabling widespread doping among their athletes. Now we know that at the very heart of athleticism and the IAAF (International Association of Athletics Federations) that was a deeply corrupted system that enabled doping athletes and coaches. 1) The myth of the ethically-challenged doping athlete is over forever. Doping in sports is not the realm of the ‘rogue’ athlete. These findings show that when most athletes dope it is because they are part of a system that promotes doping and shields them from sanctions. All the ethically-based ‘education’ programs for athletes will not change that reality. 2) Athletes equals cycling. The system at the heart of international athletics was almost exactly the same as professional cycling. Doping was at heart of the organizations that organized the sports. 3) Words mean nothing. Officials in these corrupted sporting institutions spouted clichés like ‘drug-free sport’, ‘we are turning over all stones in our fight to provide a clean sporting environment’ or ‘we must all work together in a broad alliance of stakeholders to provide a dope-free sporting world’. Meanwhile, the system effectively enabled cheating athletes and coaches. 4) Strong punishment works. The only way to really stop corruption in sport (be it doping or match-fixing) is to properly punish the guilty. If this means banning Russia from international athletics for the Rio Olympics, then do it. 5) Richard Pound. Can the man do much more in fighting doping and corruption in international sport? If we had a dozen Richard Pounds we could clean up sport for good. 6) Canadians punch above their weight in anti-corruption in sports. Bob Munro, Laura Robinson, Alexandra Wrage, Richard McLaren, Richard Pound and others have all brought an extraordinary perspective to this field. This is not to downplay other nations – German and British journalists were instrumental in breaking this particular story. However, what is different is that in other nations, their heroes are celebrated. In Canada, most of those people are not known to the general public. It is the problem of the colonial spirit at the heart of Canada. The idea that our own are never as good as foreigners. 7) The links between the non-functioning fight against doping and match-fixing is clear. Below is a blog post from March about the report into doping in cycling and the non-fight against match-fixing. Replace the words ‘UCI’/‘cycling’ with ‘IAAF’/‘athletics’ and it is a very similar situation with the non-functioning fight against match-fixing. It is a tale of two reports. The first was released by the investigators of the Cycling International Report Commission (CIRI). They examined the actions of Union Cycliste Internationale (UCI) who govern elite cycling. 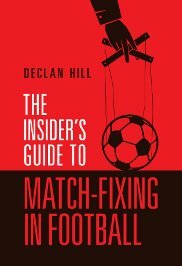 The second report is one of a series of secret documents about purported investigations into match-fixing in international sport. The documents were leaked to me by a number of sources. I will write about one specific report in my next blog. I do so because both reports show a disturbing similarity in the attitude of officials towards corruption in their sport. It seems the sports world has learned little from the failures of the anti-doping campaign. The fight against match-fixing is just starting, but it is repeating almost exactly the errors of the anti-doping fiasco. According to the CIRI report there is actually a very small number of doctors who provide most of the drugs for the elite cyclists. You could wipe out doping for the next few years by stopping these doctors. Get them banned from their medical practices. Put them in jail if possible. Cause them, and their many sporting clients, the maximum embarrassment possible. We know their names and their addresses. Yet comparatively little action is spent stopping them. When there is action, like the Spanish police investigation on the Madrid doctor who allegedly provided drugs for hundreds of top-level Spanish athletes, his client list was never revealed. This allowed many top athletes to escape punishment or even embarrassment. It is the same thing in match-fixing. Currently, there is a small group of match-fixers based in Asia who act as brokers to fixers around the world. These Asian fixers help put the cash of the fixers on to the gambling market. Most of these Asian fixers are well-known. Officials know who they are, where they live, what they do, their photos, their identities – almost everything. Yet they are allowed to work. When there is action, like the detention of the Singaporean fixer Dan Tan, he is not allowed to testify in a public trial allowing many top sports officials and athletes to escape punishment or even embarrassment. Actually, if authorities really prosecuted the doctors/fixers and their clients it would be a serious disincentive for any one to replace them. Currently, doping doctors and gambling match-fixers know that many officials will not prosecute them with any seriousness. Hill: Did you match-fix when you were a player? Official: Oh yes. But it was different… there was nothing obvious. Some of the senior players would tell us the difference should be in the goal difference. In other words, don’t win by three goals just win by a few goals less. Insider’s Guide to Match-Fixing, page 224. In the anti-doping world the blame was often pushed on to the athletes rather than officials who administered a system that covertly encouraged doping. Millions of anti-doping dollars were put into projects to ‘educate’ athletes. In particular, there was an attempt to portray doping in cycling as an ethical failure on the part of a very few cyclists. However the findings of the CIRI report are very explicit. The decision to dope in the 1990s and early 2000s was mostly rational choice – ‘if you want to win, you have to dope.’ If a young cyclist had another income stream or profession, they usually left cycling rather than dope. The cyclists who had no other career choices stayed and, if they wanted to win consistently, they doped. Again there are similarities in match-fixing. Currently, there are groups of consultants and gambling companies who go about giving lectures to players about the ‘ethics’ of match-fixing. Quite how a group of well-paid outsiders have the gall to lecture often unpaid, exploited athletes on ethics is a mystery. Particularly, when some of the consultants have received funding from organizations that suffer credibility issues on integrity like FIFA or the Qataris. To be clear, most athletes hate fixing. They fix because they are badly paid or because they have been ordered to fix by their coaches or owners. 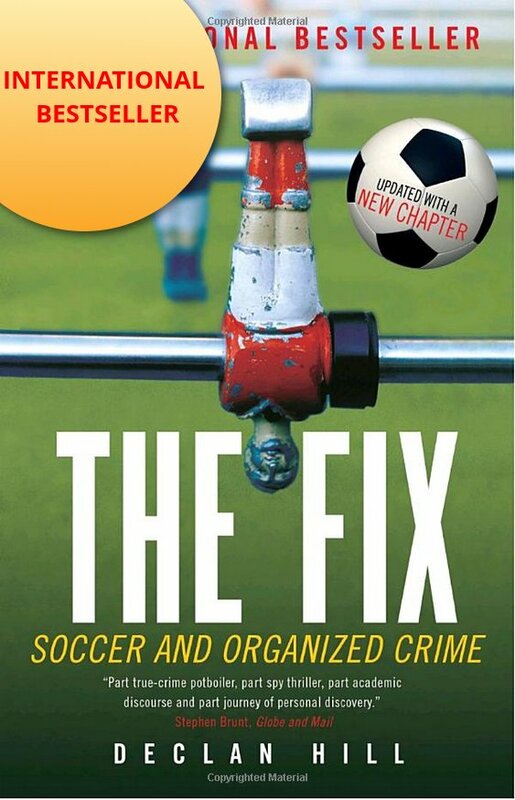 There are a few genuine scumbags who fix because of a lack of integrity – but no FIFA-sponsored ethics course will get them to stop. The most effective way of cleaning up the sport is to pursue individuals through investigations as soon as a suspicion is raised… CIRI notes that major doping scandals were uncovered due to investigative powers of public authorities. The CIRI report demonstrates that external investigation were better than internal sporting authorities in finding out the truth about doping. It is the same issue in the fight against match-fixing. There is a dangerous myth being peddled by some sports officials and misled academics – that police are reluctant to intervene in the sports world. We [the law enforcement agencies] received no help from the football association. In fact quite the opposite, they closed ranks. They do not want to admit publicly that it [match-fixing] goes on. The emphasis of UCI’s anti-doping policy was, therefore, to give the impression that UCI was tough on doping rather than actually being good at anti-doping. UCI portrayed itself as always being at the forefront of the fight against doping. There is a similar issue in match-fixing. Witness the countless conferences and reports brought out by the professional consultant brigade and sporting officials. The sporting world is often more concerned with giving the impression that they are doing something to clean up the problem. Often sports officials see match-fixing as a marketing issue, rather than an existential threat to the sport they administer. Finally, is the use of noble language and postures by the very people engaged in corruption. A whole generation of the ‘good guys’ in the anti-doping war were deliberately sidelined by an establishment some of whom were complicit with dopers. The one person who emerges from the CIRI report with absolute credibility is Richard Pound, the former President of the World Anti-Doping Agency (WADA). In the long sorry story of anti-doping efforts in cycling he was correct in almost everything that he said. Yet the UCI tried very hard to discredit Pound (they also sued him for libel). They even commissioned an “independent report” into Lance Armstrong after Pound suggested an investigation into Armstrong. However, when writing the “independent report” they actually got Lance Armstrong’s lawyer to help shape it. The same phenomenon exists in match-fixing. Almost every single genuine hero of the fight has been systematically attacked, appropriated or discredited by the sports authorities and their dreary sidekicks. There has been a deliberate attempt to create a series of establishment ‘heroes’ and ‘anti-fixing’ institutions who have been ruthless in trying to steal the credit for the good work of law-enforcement against match-fixers. The other winner (aside from Richard Pound) to emerge from the CIRI report is press freedom. It is difficult to think that any of the doping scandals in cycling would have ever been dealt with properly, without someone, somewhere leaking the information to the media. The authors of the CIRI report write about the need for privacy and chastise WADA and their American counterparts USADA for publicly attacking UCI and/or leaking information to the media. The CIRI report claims that the critics should have taken their problem to a higher, competent authority in the sports world. And which organization would that have been? Sadly, their own report shows that there few other credible institution in sports ready to take anti-doping seriously. The next blog will examine one of the ‘investigations’ into match-fixing at the highest level of international sport. Sadly, it seems to show disturbing similarities into the failed anti-doping campaign.